We specialise in high quality custom-built homes, additions and renovations in Western Australia’s south west. Our emphasis on quality control and construction integrity ensures your vision becomes a stunning, unique home. 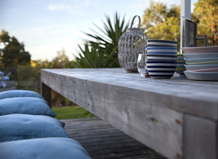 Phil Kelleher Homes is passionate about minimising the effect our buildings have on the surrounding environment. We aim to maximise every aspect of the design and lifestyle concept of your custom-built home while encouraging solar passivity and energy efficient design. Phil Kelleher's HIA GreenSmart Professional accreditation and commitment to environmentally responsible design, construction and building practices gives you a more sustainable home. We can offer advice throughout the design process. Building in the region since 1996, and with our knowledge of environmentally sensitive building techniques, we can assist with environmental, product and practical living considerations to ensure your new home is a pleasure to be in. To ensure your project meets your budget requirements we can also assist with cost estimates during the design phase. We’ve been awarded numerous HIA Awards for excellence, and HIA Greensmart Awards for resource efficiency and sustainability practices. We have extensive experience in steel sub-floor and timber frame construction on sloping rural blocks or on difficult sites. Our specialist knowledge of the region and ability to source high quality and specific materials from local suppliers is of great benefit during the design and building process. We are based in Dunsborough / Yallingup. For further information please contact us.